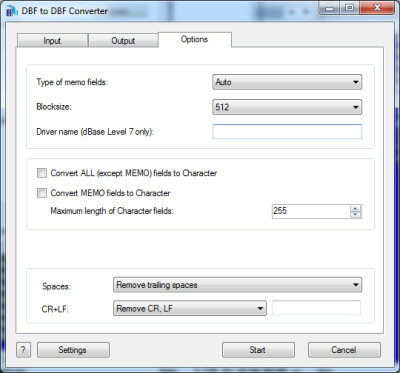 DBF to DBF Converter allows you to convert your dbf files from one format to another. The program supports dBase III, dBase IV, FoxPro, VFP and dBase Level 7 formats. Besides, you can choose BlockSize in memo fields and change codepage. The program supports command line interface. So, you can run it with necessary parameters in a batch mode from the command line or from Windows scheduler without human beings.